Provides Great Tasting Ice Water and Ice Cubes. 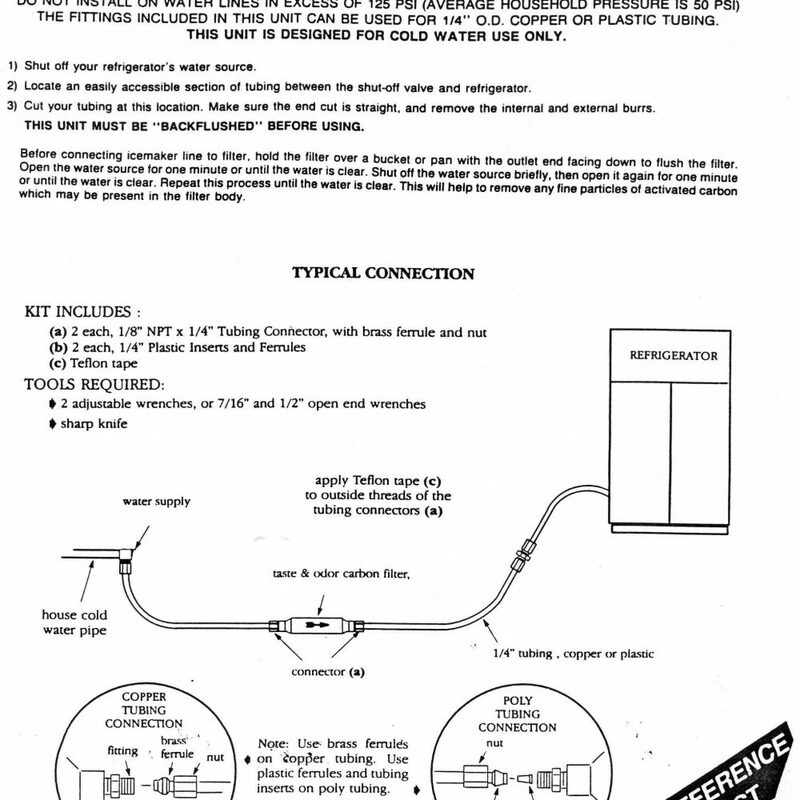 Disposable Filter Easily Installed Behind the Refrigerator. 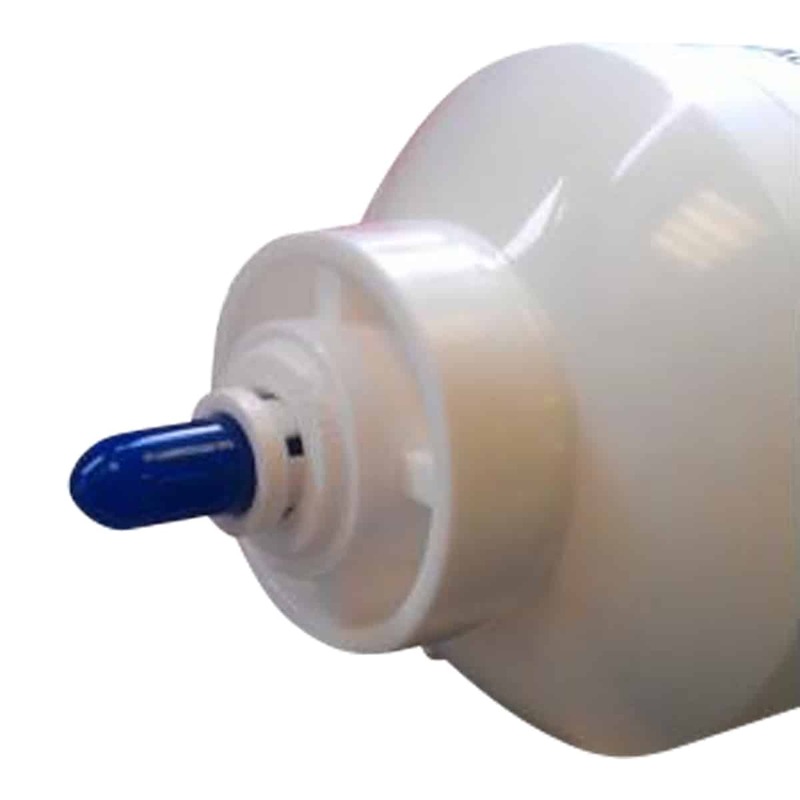 Reduces Chlorine > 99% 1,500 Gal. Reduces Unpleasant Taste and Odors. Removes Sediment, Capacity: One Year. 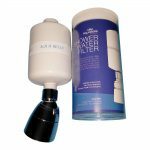 This Aqua Belle I40L-QC for RO & refrigerator / icemaker inline filter is easy to install and comes in a compact design. 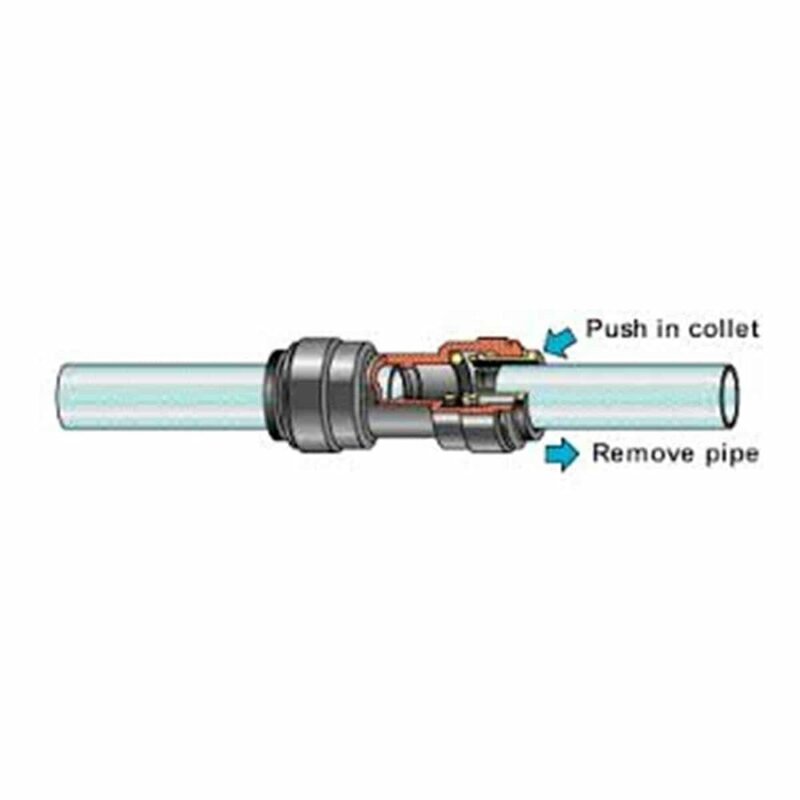 The Aqua Belle I40L-QC inline water filter can be installed with the 1/4 inch quick connect easy installation with plastic or copper tubing. 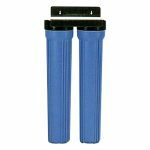 This inline water filter is the new model Aqua Belle I40L inline for RO & refrigerator filter that comes with standard quick connect fittings. Temp. Range: 40 – 100 F.
Press. 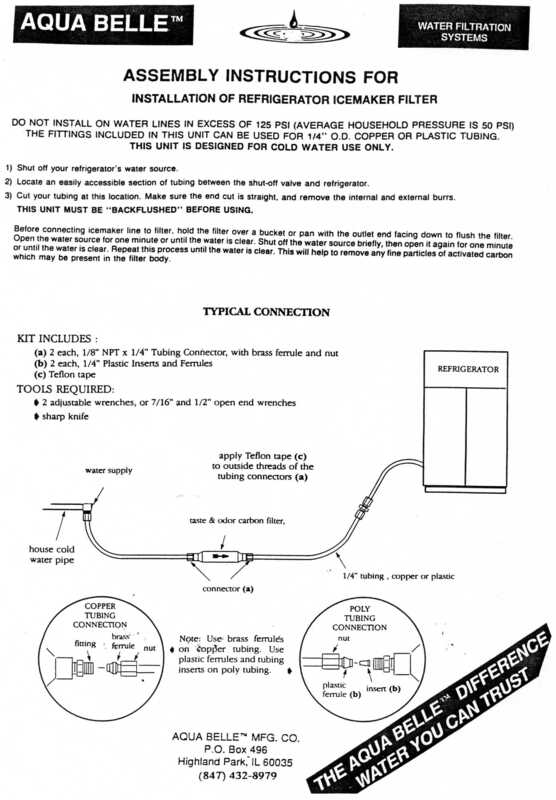 Range: 30 – 125 PSI. Media: Acid washed Granular Activated Carbon (GAC). Flow Rating: 0.50 Gallons Per Minute (GPM). 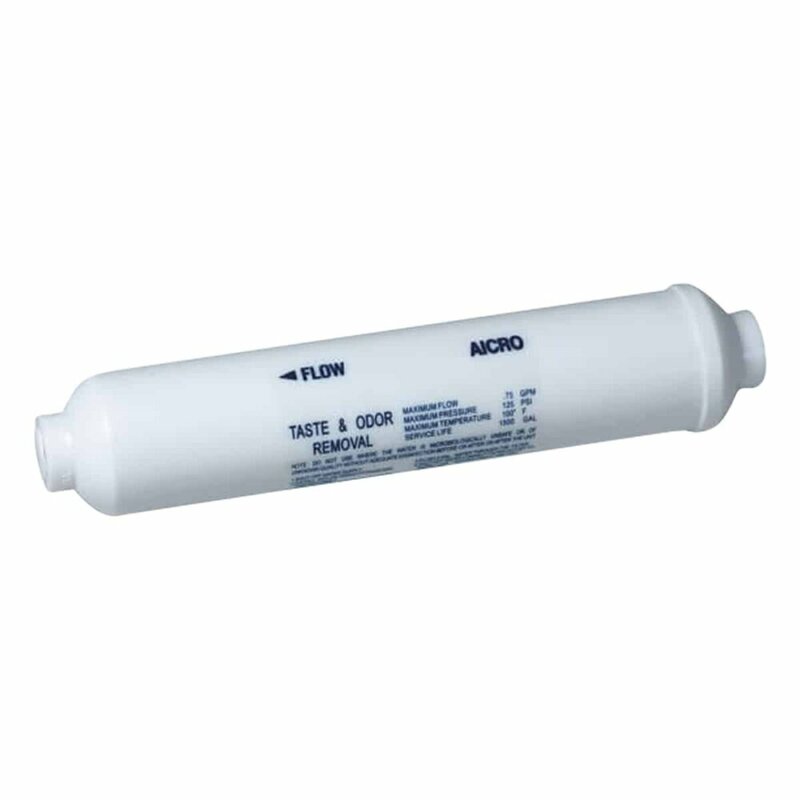 This filter is for cold-water use only, though it must be protected against freezing to prevent cracking of the filter and potential water leakage. If your water source for your refrigerator is located under the sink in the kitchen, we recommend that you install the Aqua Belle Undersink Water Filter (U40L), which will give you high quality drinking water and longer service.